crosstown traffic. or life in the (not so) fast lane. 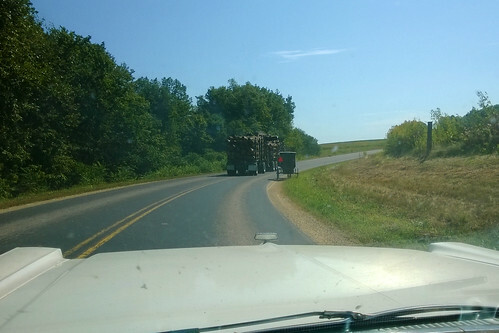 when i explain why i’m late for a meeting after commuting from our westby office to organic valley hq and say it’s because i got stuck behind a logging truck and an amish buggy everyone will just nog their head knowingly. Previous Postday 3351: odin (finally) asks me to teach him some skating tricks!Next Postday 3352: first screening in the treehouse movie theater!